Pulwama was the turning point in Indo-Pak history. Pak, which had gambled that Pulwama would result in an Indian ground action were left shell-shocked. Their army had deployed, terrorists waiting to be launched across the LoC were withdrawn to Balakote and Pak continued to warn India against any misadventure. The Pak army chief even visited his forward troops and stated, we are ready for an Indian response. They knew political pressure would make the Indian Government act and it waited, prepared and ready to repulse it. The air strike hit them below the belt. They were caught napping. Their air defence failed as also their famed F 16 aircraft remained grounded. The Pak Defence Minister, Pervez Khattak, stated in a press conference immediately after the incident, ‘Our air force was ready but since it was dark, they could not assess the damage so they waited and now there is clear direction that if there is any other similar attack we will respond adequately.’ This was countered by their foreign minister and DG ISPR, but it was too late. The cat was out of the bag. This was a new high in Indian retaliation to Pak’s actions. Pak attempted to bargain the release of the Indian pilot, Abhinandan, but India refused. It was willing to further up the ante and as per reports, India warned Pak that the pilot is to be unharmed. Pak was aware that its economy could not sustain any further conflict and the nuclear option was unthinkable. India had conveyed that it is willing to hit where it hurts and would take the nuclear gamble, if necessary. This was wonderfully summed up by known Pak columnist Irfan Hussein, who wrote in the dawn editorial on 23 Mar, ‘One reason for the relatively peaceful sounds emanating from Pakistan is the realisation that the economy cannot sustain hostilities with our much bigger neighbour for long. And nor can we use our nuclear weapons without risking mutually assured destruction together with India.’ Pak had no choice, it had to indicate surrender and seek peace, hence released the pilot. Irfan added, ‘International pressure to rein in the extremist groups that infest the country is steadily growing, with the threat of the Financial Action Task Force (FATF) black list looming ahead. Without diplomatic support for its Kashmir stance, Pakistan can do little but lodge protests against Indian atrocities in the Indian-occupied valley. ‘Clearly, Pak is alone now and desperate to save its economy. It still fears Indian response, as Imran Khan recently stated that till the elections, threat from India continues. Pak had launched Pulwama because it was uncomfortable with the present Modi Government. It had faced the first surgical strike post Uri, increased isolation internationally and was now heading into the FATF black list. It had hoped for a failed retaliation which could change the Indian political environment. As Irfan stated in the same article, ‘Many Pakistanis, Imran Khan included, imagine that a Congress Government – if elected in next month’s general elections – will be more amenable to a peaceful settlement. But given the hype and hysteria we witnessed recently following the Indian raid at Balakote, this is grasping at straws.’Pak’s gamble had failed. If it attempts another, the escalation levels may be worse. To push the pressure even harder, the Indian Government decided against attending Pak day celebrations in Delhi and Islamabad. In Delhi, in the presence of diplomats from across the globe, lack of Indian attendance conveys that India remains angry with Pak. After all, it is the host nation. It further sends the message that despite having struck Balakote, it is unwilling to forgive Pak for Pulwama. Pak media covered the Pakistan Day greetings sent by Modi to Imran Khan, which is a formality, but there was no mention of India boycotting the event in Delhi and Islamabad. Pak had placed both important terrorist group leaders under protective custody, hoping to stem international anger. It appeared that this was also because of its fear of the FATF placing it on the ‘black list’ despite Chinese support. However, the words of Bilawal Bhutto cleared the air. He stated, ‘Militants have not been arrested. They have been taken into protective custody so that Indian jets don’t bomb them.’ Pak has remained in a fearful state with all its forces on high alert, expecting further Indian response. Its airspace only opened a month after the Indian strike, though its air force remains on high alert. While every Pak leader mentions talks, they are aware that India is no longer willing to accept dialogue, without Pak creating right conditions for the same. India has the economic and military power and is willing to use both to pressurize Pak, despite backing from China. Pak needs to initiate action to convince India. 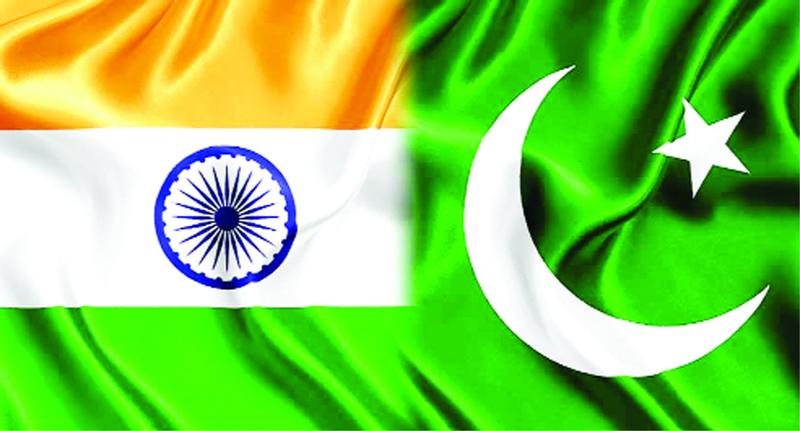 Pak must first act against the Mumbai attackers to demonstrate confidence within the Indian leadership. India has completed the investigation and case against the Samjhauta Train attack, the decision of the courts being announced, while Pak still needs to push forward on Mumbai, commence Pathankot and announce investigation on Pulwama. Their rejection of the Indian dossier was expected. Pakistan’s foreign minister’s comment on the Samjhauta judgement is illogical as they have demonstrated an unwillingness to even proceed in their cases. India has changed the game for a long time to come. It has shown its capability to risk escalation in case Pak continues support to terror groups. While those terrorists whom Pak has infiltrated into Kashmir would soon meet their end, fresh infiltration and major attacks need to stop. With a growing economy, the conventional military gap would only grow. India will still develop, despite enhancing its defence budget, while Pak would sink deeper into economic depression, if it continues to spend on defence. Pak must understand its limitations and listen to sane advice, rather than attempt to up the ante with India. The question is who will push this advice down the throat of the deep state.